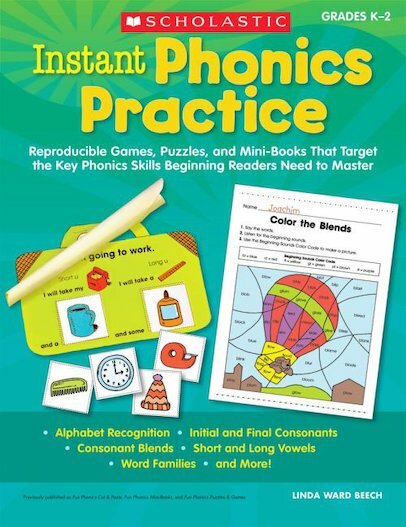 Dozens and dozens of ready-to-use activities give kids fun-filled phonics practice and a big boost on the road to becoming successful readers and writers. Topics include alphabet recognition, initial and final consonants, consonant blends, short and long vowels, and rhymes and word families. Activities are effective for RTI and English language learners. Flexible and easy to use for independent work, day starters or homework. For use with Grades K–2.